Warren Buffett has achieved an incredible compounded return of 19.4% per year since taking control of Berkshire Hathaway Inc (NYSE:BRK.B) in 1964. So it’s no surprise that most people want to mimic his success. Heck, if you do a Google Inc (NASDAQ:GOOGL) search for “how to invest like Warren Buffett,” you’ll receive about four million results. But here’s the thing: Each of those links represents a misguided perception that you or I can actually invest like Buffett. And the people who click the links are victims of this delusion. As the recent mega deal between H.J. Heinz and Kraft Foods Group Inc (NASDAQ:KRFT) clearly shows, everyday investors have absolutely no chance of achieving success like Warren Buffett. The Kraft-Heinz merger was announced on March 25 and is valued at about $49 billion, according to The Wall Street Journal. Working with Brazilian private equity firm 3G Capital Partners, Buffett helped orchestrate a deal that will give Heinz shareholders a 51% stake in the new, combined firm. Kraft shareholders will have a 49% stake (in addition to receiving a $16.50-per-share special dividend). Previously, Buffett had worked with 3G to acquire Heinz for $23 billion in 2013. And even that smaller deal demonstrated how Buffett profits in ways not accessible to everyday investors. In acquiring Heinz, Buffett received a massive number of special preferred shares (in addition to the common stock) that paid a hefty 9% dividend. Last year alone, Berkshire raked in $720 million from these assets. Now, that dividend will go away with the merger. But Berkshire will own roughly a quarter of the new entity, which will be the fifth-largest food company in the entire world and the third largest in North America. This is obviously a far cry from buying Dividend Aristocrats and holding them for the long term. It’s a nice idea, but it’s simply not how Buffett makes the vast majority of his money. 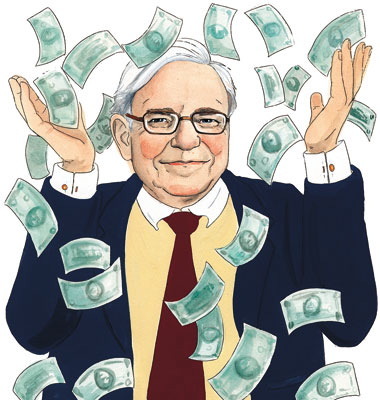 Just look at Berkshire’s mountainous cash pile (estimated to be around $65 billion), and you should get an idea of how different Buffett’s investments are from yours and mine.Instead, he’s become a unique conglomerate of activist investor, board member, and private equity dealmaker – and he wields enormous power as a result. Not a Man of the People? For many years, Buffett has managed to maintain a “folksy” image – both in his speeches and meetings, as well as his widely read (and well-written) letter to shareholders. It makes him seem somehow relatable, despite being one of the richest people on the planet. But this once-polished image is beginning to look tarnished. In 2008, 3G helped orchestrate the Anheuser-Busch-InBev merger. Carlos Brito, CEO of Anheuser-Busch InBev SA (NYSE:BUD), announced plans to slash $1.5 billion in just over three years, and that number was quickly upped to $2.25 billion. Just as the United States was sinking into the Great Recession, thousands of workers lost their jobs. In the city of St. Louis alone, the number of A-B workers fell 15%, according to city government records uncovered by the St. Louis Post-Dispatch. More recently, 11 of the top 12 managers at Heinz were replaced after 3G and Berkshire acquired the company. And since the deal was completed, 7,000 employees have been dismissed. It’s not surprising, therefore, that many at Kraft are worried about potential layoffs and plant closings. Ultimately, Buffett is one of the financial elite. In his deals, shareholders and investment banks – not everyday people – are the winners. That’s the real secret to Buffett’s track record. Still, it’s easy to understand why so many people wish to mimic the most successful investor of the 20th century. Acquiring even a fraction of Buffett’s wealth would secure financial independence for yourself and your family for many generations. But the truth is that none of us can invest like Warren Buffett. It’s high time that we accept it.